Kim Locke is attached to the CIA. 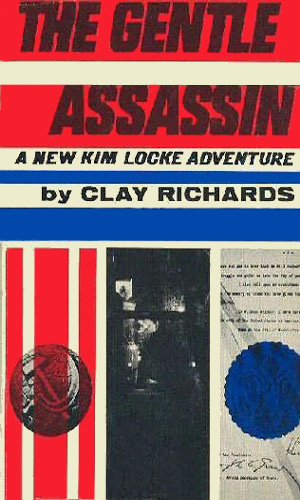 Though actually a major in the U.S. Army Intelligence, Locke is permanently assigned to work with the CIA and so holds the distinction of being one of the first American spy series to come out after the Second World War. 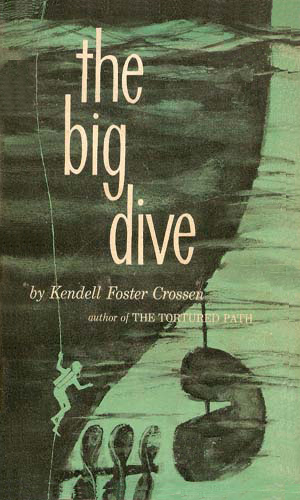 The short series of his adventures were first released in 1955 which was the same year that the more well-known Sam Durell series hit the bookstands. Locke had served in the military intelligence field during WWII and was assigned to CIA during the Korean War. His experience in the Far East and his knowledge of the Chinese language made him a natural for continuing work in that area. Far more famous during the 60's for his swinging private eye, Milo March, written under a pen name of M. E. Chaber, Mr. Crossen tried his hand at a variety of topics, including espionage. Compared to the many far more bombastic spy series characters that would soon follow him, and even compared to his 'cousin', Milo March, Locke is quite subdued. This tends to make him considerably more believable if you can slog through the dull parts. There is one other element that makes Locke quite a unique secret agent and that is his sometime companion, a Hungarian Pulik named Dante. This small-to-medium sized hairy sheep dog is considered by Locke to be the smartest breed in existence and actually accompanies him and, in a way helps, during his assignments. We are not talking about a 'K-9, Secret Agent' over-the-top romp but it is strange, nevertheless. There are roughly four years in between each of the three adventures so there is time for the character to change a bit and he does. He also gains more experience and becomes a bit more tired of it all as he does. 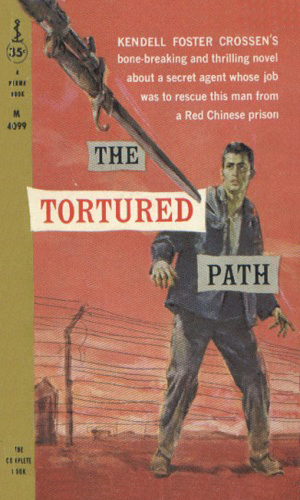 When the CIA needed someone to get into Red China to find an American prisoner who might be helping the communists in their weapons research, they select Kim Locke and order him to get captured, tortured, and 'broken' in order to win access to the target. Kim Locke is assigned the job of finding what happened to a frogman who was checking out the bottom of a new Soviet warship in an English harbor. He has three sets of opponents: the Russians, the English, and his fellow Americans. Kim Locke is ordered to return to Cuba where he had been stationed when Castro was mounting his rebellion. This time it is to find and recover two State Department employees gone missing in that island nation. Awaiting his return are many old friends and many old enemies. Crossen had a very light touch to his adventures which he used to success with the Milo March stories. The same feel exists in the three Kim Locke stories, making them enjoyable reads that don't require any effort to get through. Note: It is interesting that the rather standard first book with a few hard-to-swallow twists does have an exceptional segment detailing the breaking down of Kim Locke by the Chinese. The reader could almost feel the anguish the character felt. It alone makes the book, and the series, worthwhile.